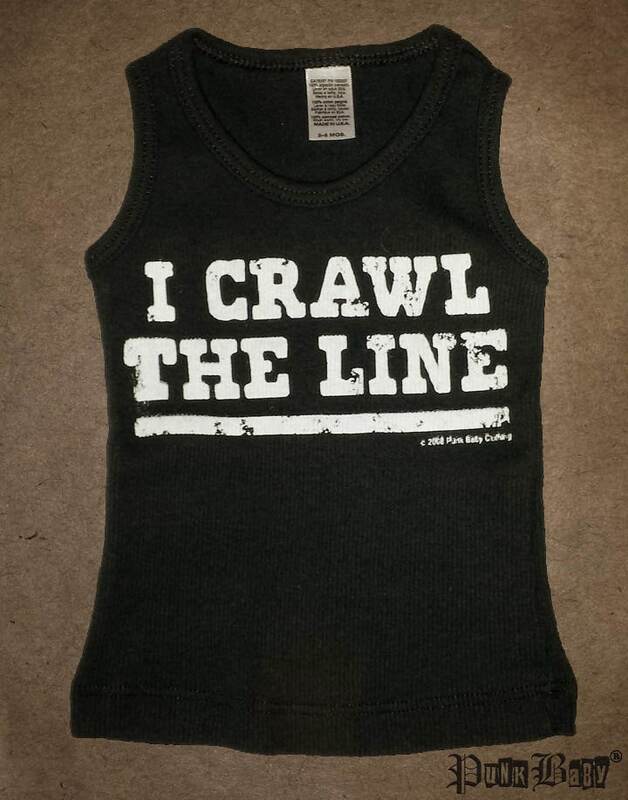 "I Crawl The Line" tank top for wee ones with more style than the average tot! -Available in 3-6 months or 12-18 months. Our teensy styles are all hand printed on American made goods, in Los Angeles, with original Punk Baby® graphic designs. 2-3 items (depending on size) will cost the same to ship within the US and internationally. For international shipments, please allow more time to ship and to calculate shipping.